As promised I have another travel diary to share today! We did two back to back trips to Los Angeles on the West Coast for a wedding and then flew back to the East Coast to visit Miami for Art Basel. Miami has been on my list for over a year now and I couldn’t have been more excited for our trip. This was my first time there and we spent a total of four days in South Beach. We had an amazing time although Miami was extremely packed due to the crowds of people coming into town for the art shows, parties and events. We knew this would be the case but planned a trip anyways for a few events and to plan our last getaway before the end of the year. If you’re looking for a beautiful warm place to vacation put this on your list! This post is photo heavy so grab a cup of tea or coffee before reading. I’ve recapped most of everything we did! Since everything tends to go up in price and get booked quickly when there are large events in town, I’d recommend planning your trip at least two months in advance if you go during busy times. We found even with advance planning most of the hotel rates were more than double their normal rates. We found a few good Airbnb options that had great reviews in Coconut Grove and around Miami, but we wanted to stay in Miami Beach. Andrew booked two hotels for our four day stay at the Royal Palm South Beach Miami and the Stiles Hotel. Both are located on Collins Avenue in South Beach near tons of cute restaurants, cafes and shops. During non-busy times their rates are fairly affordable and we had a pleasant stay at both of them. With some of the boutique hotels we were a bit worried as reviews are so mixed. We were so relieved to find both had clean rooms, excellent service and had great locations. We would definitely consider staying at the Royal Palm South Beach again. The hotel rooms were cute and beds were super comfortable. There are cute restaurants inside the hotel, there’s a beautiful pool and outdoor bar. There are organized beach chairs and cabanas right along the beach in the hotel and they have rooms with an amazing view of the water. If you want a hotel that’s right along the beach that you can walk out and lounge around this one is a great one that’s affordable. The Stiles Hotel is more of a budget hotel in a more simplistic way. It reminded both of us of some of the European hotels we’ve stayed at with the no-frills simple kind of approach. There’s no driveway to park the cars although they do offer valet services. The elevators are tiny and on the slow side much like some of the older boutique Parisian hotels. The staff was extremely friendly and courteous. They recommended a parking garage around the corner which they told us would be significantly cheaper to use than their valet service. While there isn’t anything luxurious about this one, sometimes all you need is a clean place to sleep while traveling and if you want an affordable option this is a great pick. We had a few meetings, lunches and events on our agenda and then planned to take our time exploring in between. Since our hotels were near the beaches we spent a lot of time just walking around Ocean Drive and Collins Avenue. There are lots of cute Art Deco style buildings which was fun to see. One of our favorite things to do each time we visit a new place is go on the hop-on-hop-off bus tours. It’s a great way to see the city without having to worry about getting lost, hectic traffic and parking. Plus with the double-decker buses you can see a lot from the top. I’m not sure how we would have survived the heat if we tried this a month or two ago, but we did go on these in the heat of Europe and still had a lot of fun. Due to time restraints as we had meetings to get to we didn’t spend as much time as we would have liked on these. If you’re new to an area and don’t know exactly where you want to go these buses hit all the popular hot spots. It gives you a good idea of where everything is, then you can go back on your own later to the spots you want to spend more time at. We’ve tried a number of different ones, this time we did the Big Bus Tours. Also on my list was the Museum of Ice Cream. Tickets had been sold out in LA and San Francisco and I had been dying to see this. We bought preview tickets before it opened to the public and it’s literally the most pink EVERYTHING that I have ever seen. I’d definitely recommend going. It does seem better suited to girls, if you have a girls trip planned it’s the perfect place for photos. Everything is perfectly designed for Instagram photos and they give you ice cream or candy in every room. The shopping is something I’d definitely go back for. There was so much on my list but we had to save it for another trip. We did go to Aventura Mall (for Nordstrom to pick up a few things). 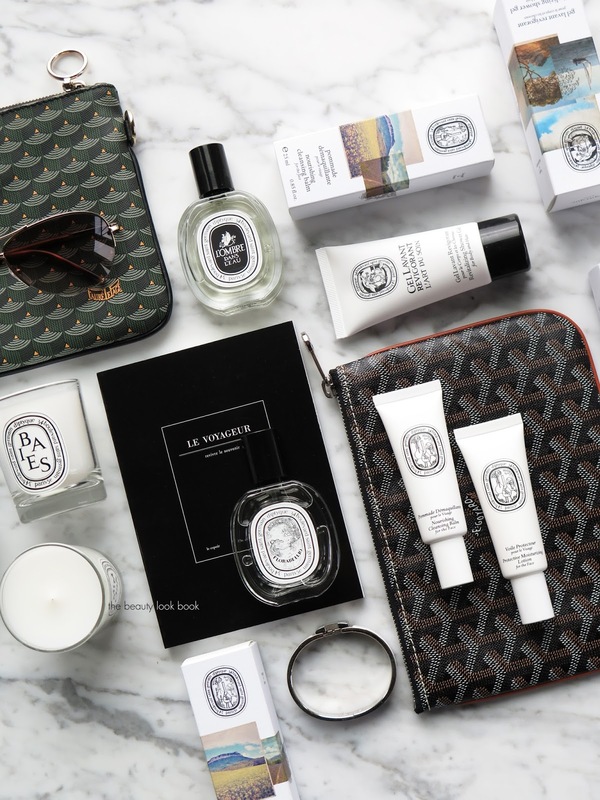 We had a breakfast meeting in the Brickell District and there’s a new multi-story mall there with Diptyque and Sephora. The Saks store there is what all Saks stores should be like. I feel like they’ve lost their luster over the years but this one is amazing! The shoe department is heaven. No trip is complete for me without a stop to a Sephora! Not really shopping but we had breakfast at EAST Miami Brickell. The hotel space is lovely, I’d really love to stay here next time we visit Miami. Plus it’s connected to the mall! The Design District had a lot of events, pop-ups and new store openings. We went to see the new Creed Boutique and Sisley-Paris store openings – both of which I was so excited to see! There were so many restaurants we wanted to try but after some bad eating habits in LA we started to gain weight and tried to limit our junk food eating while in Miami. We stopped by a few casual eating places in Miami – thank you SO MUCH to each of you who gave me recommendations! I have a solid list of 50 spots to try on our next visit when we have more time to explore. We found this cute French sandwich shop where you order and eat at the counters. They have the biggest sandwiches I’ve ever tried. We liked it a lot. I didn’t get a photo of every place we ate. We tried coffee and pastries at Shepherd Artisan Coffee (cute but wouldn’t recommend), tacos at Taquiza (would definitely go back! ), La Sandwicherie in Miami (so fun), Michael’s in the Design District (delicious), Bodega in Miami (best fish tacos we’ve ever had), Rosetta Bakery on Collins (sooooo cute!!). If we were to do our trip over again we would have definitely picked another time to visit for our first trip together. Things during Art Basel week can get pretty hectic and busy. Traffic is pretty bad. We did go see exhibits at Art Basel although there were tons of installations and pop ups all around the city. I didn’t take any photos inside as I felt a little weird taking pictures of other people’s art – not sure why exactly, but it just didn’t feel right to me. We enjoyed a lot of people watching, walking along the beaches, enjoyed the sunshine and wished we had another week to just explore at our leisure. The good thing is we had a great last trip of the year and definitely plan on going back. We returned back home to St. Pete Beach which is a lot quieter and more laid back than Miami. If you’re looking for a warm beachy place to really kick back and relax, I’d recommend opting for the other side of Florida (our favorite Tampa Bay spots here). If you’re looking for something more cosmopolitan and energetic, Miami is the place to be. Hope you enjoyed this Miami travel diary! I could have probably split this up into several posts. We definitely want to go back and see more. There’s a lot we didn’t get to. If you have any favorite Miami Beach spots you’ve been to let me know in the comments. Beauty reviews coming soon on Laura Mercier, Tom Ford and NARS. I’ve been swatching away the past week and hope to have the posts up shortly.